IME Design Competition is due soon! We have been organizing student design competition for some years and we are glad that it’s getting more positive support from both education institutions and industry partners. This year's theme is “Product Life Cycle Challenge 2014 – Designing a Sustainable Future”. It’s an honour that this year’s competition is supported by The Institution of Engineering and Technology (IET), who recognized the importance of educating young innovators on sustainable product design and development. The competition aims to inspire and cultivate young and innovative talents, at the same time highlighting the efforts and initiative of students in promoting the concept of eco-sustainable product. At IME, we believe everyone has great ideas and what is required is just a nudge to make it work. IME is pleased to create a platform in exposing young innovators’ great ideas to the local industry, which is a valuable opportunity to increase their knowledge of product design and development for the market. The competition not only benefits the young innovators, but the industry as a whole. It is great to see young engineers-to-be being exposed to such opportunities, to realise their ideas, and at the same time prepare their professional profile and stand a chance to be scouted by Industry Leaders. We are pleased to announce that there are 44 groups of young innovators from 14 Universities participating for this year’s IME Design Competition, “Product Life Cycle Challenge 2014 – Designing a Sustainable Future”. We look forward to seeing how young innovators are going to turn great ideas into practical and sustainable products. For more updates, please follow us on FACEBOOK. 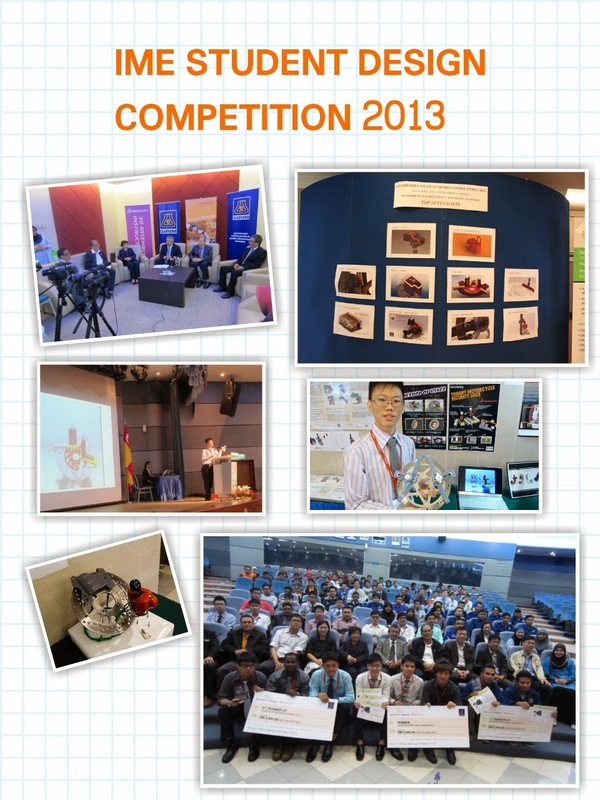 For more information regarding IME Design Competition, please click HERE.